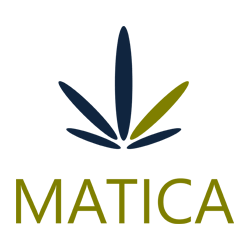 June 22, 2017 – Toronto, Ontario – Matica Enterprises Inc. (MMJ–CSE) (39N – Frankfurt) (MQPXF – OTC PINK) (“Matica” or the “Company”) is pleased to report that the management of Matica and RoyalMax Biotechnology Canada Inc. (“RoyalMax”) have met with the general contractor, the subcontractors, and other consultants at the Dorval facility. In late May, Health Canada announced improvements to the ACMPR application process to permit licensed producers to manage production on the basis of their vault capacity. Matica and RoyalMax have doubled the designed vault size to accommodate a significant increase in our production capacity. With the new improvements to the ACMPR application process, the stages of the process have been altered. The pre-license inspection stage has been removed and the license to produce is now issued upon confirmation of completion of the facility. Matica and RoyalMax have now completed the final preparations required for the completion of the Dorval facility.